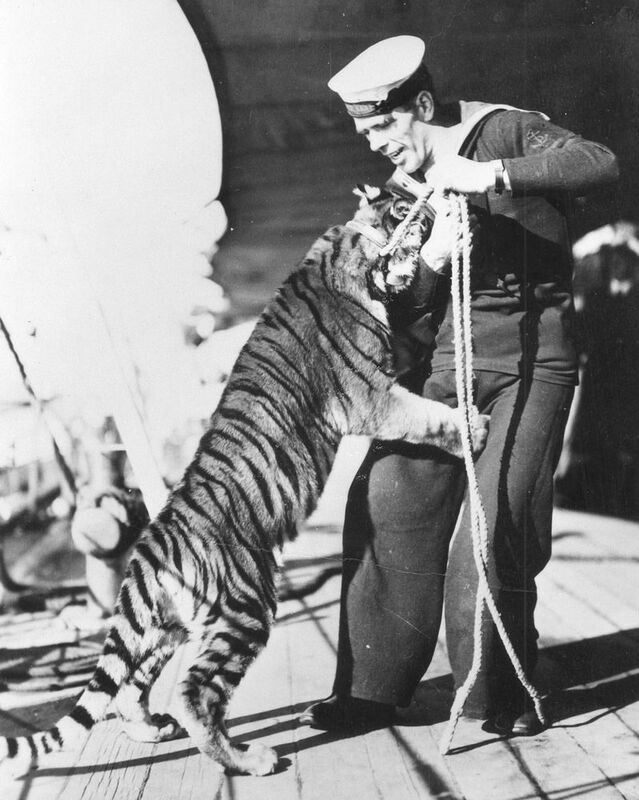 Rating from the cruiser HMS Kent (launched 1926) holding onto the ship's mascot, a tiger cub. Taken circa 1930. This Tiger Cub on HMS Kent Art Print is created using state of the art, industry leading Digital printers. The result - a stunning reproduction at an affordable price.